Sipping a cup of hot coffee is the best way to start your day with. Especially in winter, when warped in warm quilt reading a magazine and enjoying the earnest pleasure of warmness from the huge coffee mug. What a morning start! It’s even more soothing and awakening that how with every sip of coffee, your lazy mind steps out from cosy bed to new and comforting day making you feel energetic. What if we say a coffee mug has lot more to do than just waking you from a slumber winter sleep? But is it the regular coffee you are wondering off? Well, no! It’s not the regular roasted bean’s coffee mug catering few additional health benefits. Here come “Green coffee” beans into the picture. These are the coffee beans of Coffee fruits that are un-roasted. The roasting process of coffee beans reduces amounts of the chemical found in it called chlorogenic acid. In particular, chlorogenic acid is responsible for the green coffee bean’s health food status. Chlorogenic acid is an antioxidant. 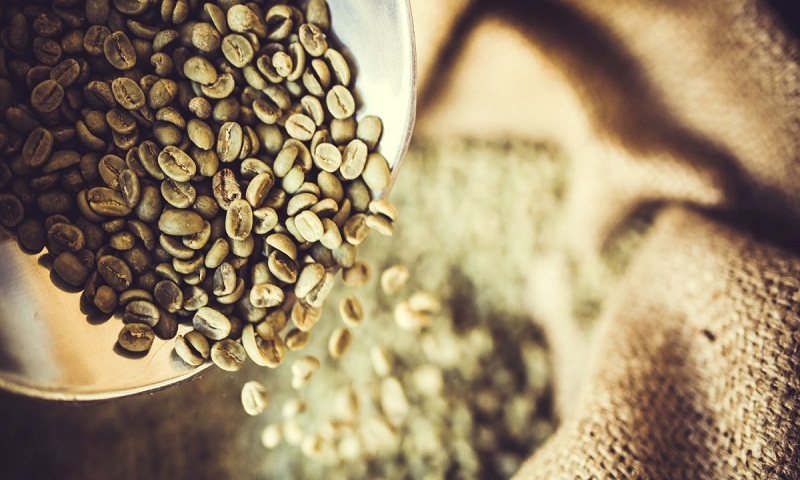 Thus, green coffee beans have a higher level of chlorogenic acid as compared to regular roasted coffee beans providing bountiful health benefits such as weight, high blood pressure, diabetes, Alzheimer’s disease, anti-aging, and various bacterial infections. Green coffee bean extract comprises of less caffeine than its roasted counterpart. A serving of coffee contains about 100mg of caffeine and the same serving of green coffee contains just 20mg of caffeine (massive difference). Incorporating green beans extract in your coffee enable you to get your caffeine ‘fix’ without sending your system in a caffeine-induced hyperactive situation. Weight Loss: For weight loss, chlorogenic acid found in green coffee beans extracts has seen to affect how the body handles blood sugar and metabolism. Chlorogenic acid is highly absorbable and known to aid the body in burning glucose and stored fat for energy. It may help enhance the results in weight loss when taken while following a healthy diet and engaging in regular exercise. Normalises blood sugar: Green coffee bean extract also helps to lower inflammation which has positive effects on blood sugar levels, also helps in reducing fat accumulation and insulin resistance, thereby lowering the risk of type-2 diabetes. Keeps blood pressure under check: Chlorogenic acid is basically the key active ingredient of coffee beans and it also contains high levels of potassium and low sodium, which means it helps keep your blood pressure under check. High in antioxidants: Since green coffee beans extract are raw and unprocessed, it contain hundred per cent pure chlorogenic acid that means it’s really high in antioxidants which helps reducing harmful effects of free radicals in body. Moisturizes the skin: Green coffee beans extracts have rahidic acid, oleic acid and linoleic acid along with fatty acids, which are comprised of essential components helping to keep your skin hydrated and moisturized. So, instead going so very often with a mug of regular roasted coffee beans, opt for green coffee beans extract. It’s a win on win concoction of healthy green goodness. The writer is the founder and chief dietician, Nmami Life, reports The Statesman. Is Facebook Beneficial Or Pernicious?